Producing content isn’t enough. You need to produce content that stands out among the millions of other websites and social media posts. One of the best ways to do this is to add visual material – and one of the best types of visual material is the infographic. According to Nielson Norman Group, eye-tracking studies have found that not all visuals are equally effective. In fact, people tend to ignore stock photos and decorative images. Information-carrying images, on the other hand, receive lots of attention. Simply put, infographics are engaging. In a 2017 survey conducted by Venngage, marketers were asked which type of visual earned the most engagement. 41.5 percent chose infographics and other original graphics. No other type of visual material earned as many votes. Infographics can make your website and social posts highly appealing – but only if they’re good infographics. As with all types of content, you have to do it well. 1. Pick the right information. It’s right there in the name – an infographic needs information. Before you can create your infographic, you need to do some research. Think about the key points you want to make. Then find the statistics that support your points. You can cite third-party sources, but you can also use your own data: surveys you’ve conducted, analysis of your work and so on. Either way, make sure you’re providing eye-opening numbers. Good infographics don’t just repeat common knowledge and make vague statements. They provide new information that educates your audience. At the same time, you don’t want to overload your infographic with dense text. This is not the right format for the level of details you’d expect to see in an in-depth white paper. Your key points should be worded succinctly, more like bullet points than paragraphs. When selecting the numbers to include, focus on the most enlightening statistics. The whole point of an infographic is that you’re presenting information is a visual manner. It has to look good. Some graphic design knowledge helps when it comes to creating visually appealing infographics. However, if your graphic design skills are lacking, there are several tools you can turn to. Companies like Canva, Piktochart and Venngage provide templates and other tools that let you create original infographics fairly easily. 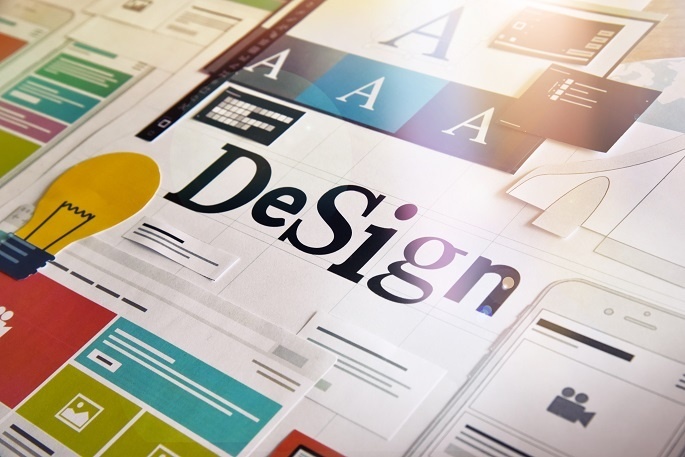 You’ll need to spend some time experimenting with the programs and finding the right look for your information, but you won’t need a degree in graphic design to produce something that looks good. 3. Give it a great title. You may already know that titles are important for blog posts. They’re the first thing people see, and they’re how people decide whether to click or not. The same goes for infographics. Although the visual format itself will help attract attention, and catchy title is also useful. Your title should be specific, clear and strong. For more tips and examples, check out this infographic from HubSpot. Once you’ve finished creating your beautiful and informative infographic, you still have more work to do. You need to get people to see your infographic. Write a short blog post to introduce your infographic. If you cited third-party sources, invite them to share your infographic. Promote your infographic on social media. When providing a link instead of the infographic itself, make sure you mention that there’s an infographic. Remember, people like infographics – they’re more likely to click the link if they know they’ll see one. If you’re using Twitter, for example, include the #infographic in your tweet.